for $630,000 with 2 bedrooms and 1 full bath, 1 three quarter bath, 1 half bath. This 1,617 square foot townhouse was built in 2019. 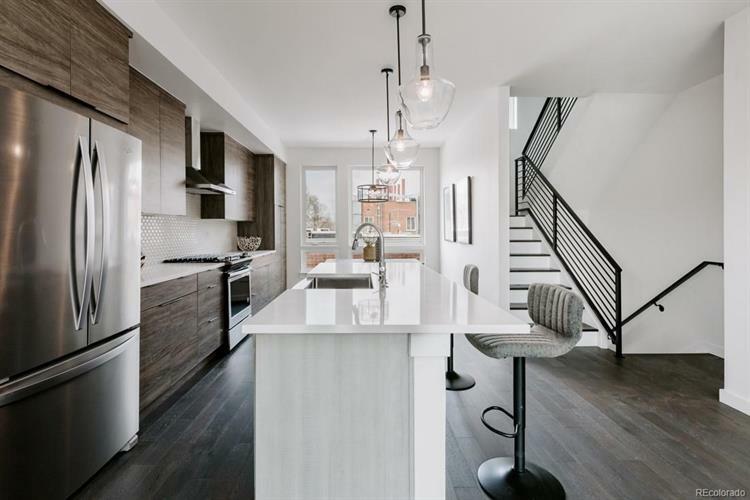 6 of Denver's sleekest townhomes. 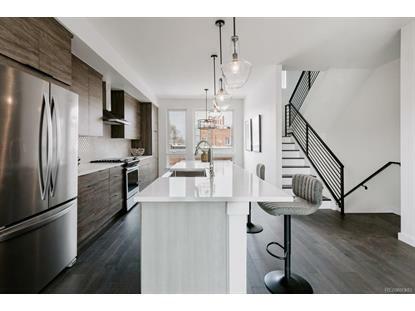 Conveniently located near it all in the desirable heart of LoHi. Luxury Residences with Two Finish Packages '¢ Two-Toned Kitchen Cabinetry '¢ European Style Cabinetry '¢ Gas Cooking '¢ Quartz Countertops '¢ Whirlpool Appliance Package '¢ Custom Poured Master Bath Shower Pan '¢ Dual Head Master Bath Shower with Rain Head '¢ Panoramic Roof Top City & Mountain Views '¢ Prime Walkable Location in LoHi '¢ Sky Box Optional Wet Bar Upgrade with Plumbing Roughed-in '¢ Living Room Optional Gas Fireplace with Gas Line Roughed-in '¢ Roof Top Deck with Gas Line Hook-up.